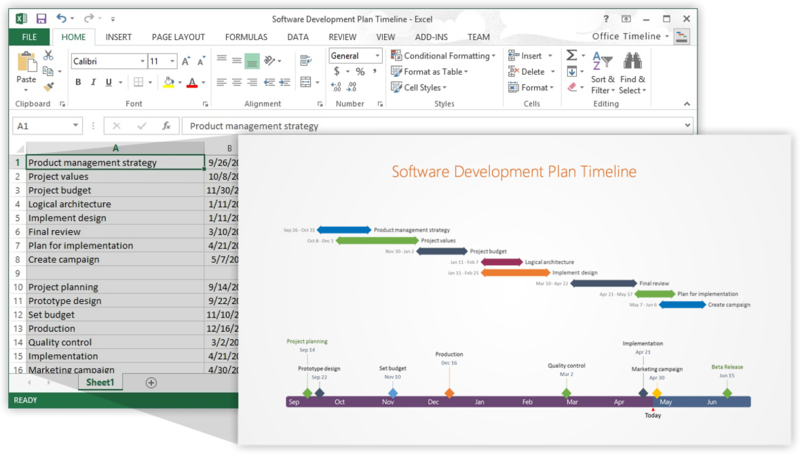 Project Managers working on small to midsize projects can use Microsoft Excel to visualize, plan and track their projects. This may be a simple project management spreadsheet an Excel project tracker or something even more complicated like an Excel project management dashboard. For important client and executive communications Excel data can also be converted into PowerPoint slides. Creating and managing an accurate budget is crucial for a project’s success. An Excel budget template can help Project Managers easily compare the planned budget for each project phase or task against actual costs, see if spending is on track, and plan for next steps to meet financial goals. Budget tracking spreadsheets can also include a simple Gantt chart that illustrates how tasks are scheduled to provide a comprehensive overview of the project and show how changes in the project timeline impact expenses. Project reviews are usually conducted at the end of each project phase to evaluate the current status of a project. To help document and share the results of their reviews, Project Managers can use an Excel spreadsheet that shows a clear overview of completed, outstanding, and planned deliverables, while also including risk management details and financial information. This will make it easier for them to measure progress and clearly communicate key data that clients and executives want to know. Agile projects require thorough sprint planning and management. Managers can use Excel to plan and track their Agile project, as well as prioritize features that must be delivered each sprint. Sprint project tracker spreadsheets usually list the start date, finish date and duration of every task, including the percentage of work that has been completed. Color codes can also be added to instantly show the tasks’ status. Effective project management requires a clear view of all the work associated with delivering a project on time. Using project schedule spreadsheets enables professionals to efficiently manage their project by the hour and see exactly how much time is left to complete a task or if there is any work overdue. Project managers who want to inform team members, executives and clients of where a project stands can use Excel to illustrate and track the progression of all critical activities involved. Project status spreadsheets list the key deliverables, developments and risks associated with a project and help measure the progress toward the completion of each objective. Project Management requires that all scheduled work or tasks are tracked. 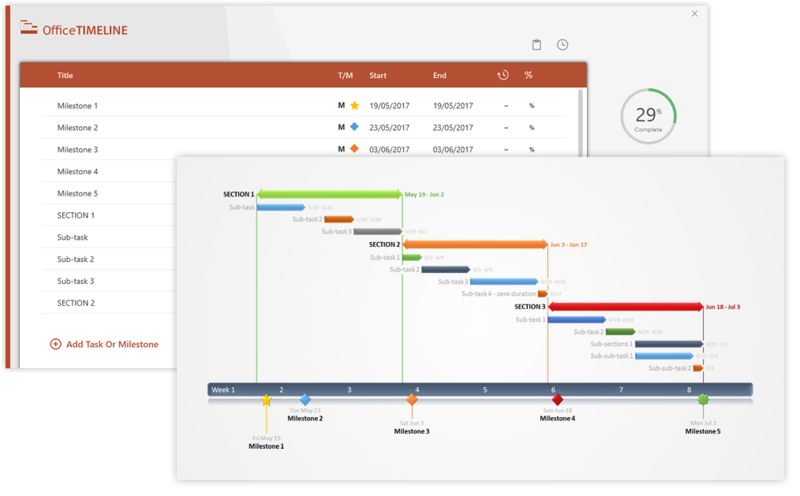 A project tracking spreadsheet is a useful visual tool to track each task’s progress against the original plan. The spreadsheet should include all tasks, their status, the owner of the task, the percent complete and the planned duration versus actual duration. Project Managers need to see which tasks are dependent on the completion of preceding tasks before they can begin. To do this they can utilize a critical path spreadsheet which lists all of their tasks, the planned duration for each task and whether the task is dependent on another. This provides Project Managers a visual way to plan the quickest path for completing their project. Projects need to be managed on a timeline. Tracking progress toward the important events or to specific points on a timescale is a good technique for monitoring the progress of a project. Project Managers can use an Excel milestone tracker to list their critical milestones and to monitor their performance against that timeline. existing milestone data and convert it into PowerPoint slides. Delivering a project requires detailed planning. 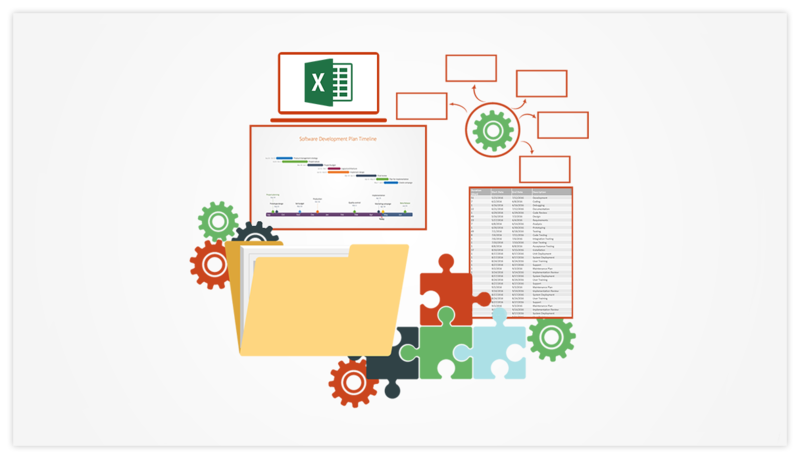 Project Managers can use Excel to plan each task in their project. Project planning spreadsheets should include columns that list the task and its owner, as well as the start and finish dates of each task. 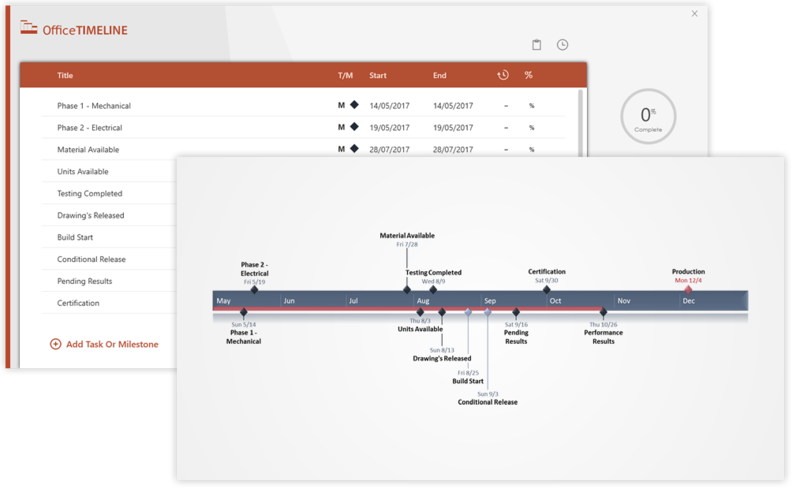 To easily track how the project is progressing, planners can also include a comparison between the estimated task dates and the actual ones. PowerPoint Office Timeline add-in to visually plan, track or present their work. Reporting on a project’s performance may require creating a dashboard that tracks key performance metrics and other data, such as budget, risks and blockers. 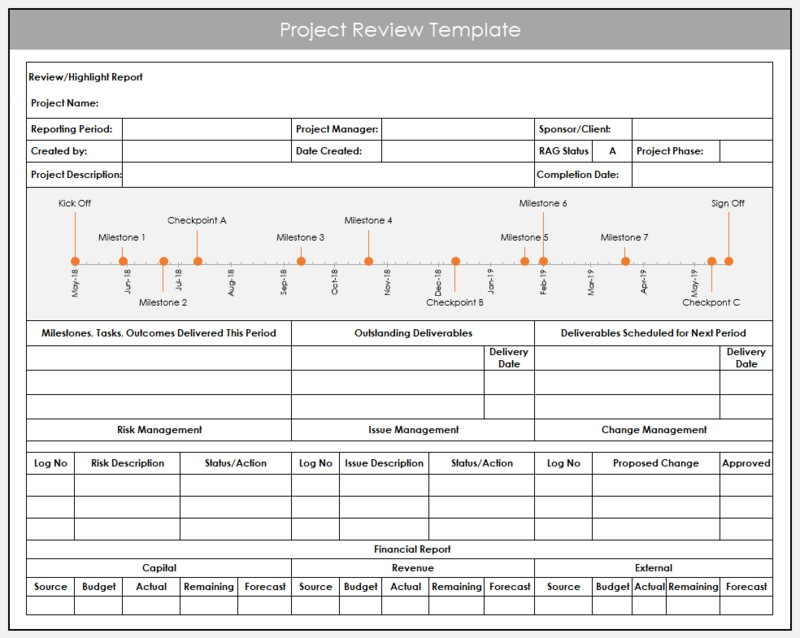 Project Managers can use Excel dashboards like the example below, to monitor projects, to give status reports or to provide data for stakeholder or executive reviews. Office Timeline is an award winning project management tool for PowerPoint.